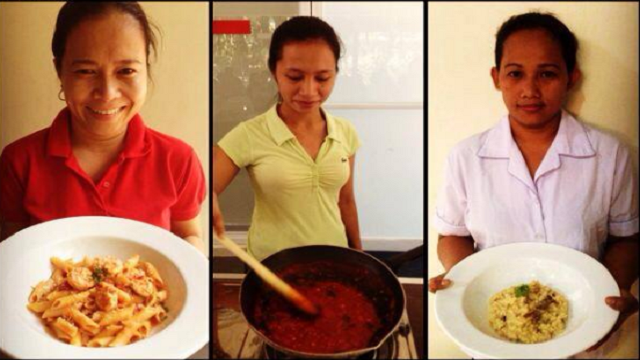 During her interview with Entrepreneur Philippines, caterer Sari Jorge, the founder of the now burgeoning cooking school, 25 Mushrooms Kitchen, was consistently calm and jovial until visibly perturbed by one thing: the thought that she and her associates would only post at least once a day on social media about their cooking classes. “No!” she said before returning to her normally laid-back self. “Maybe at least 10 times a day.” And anyone who understands the history of her venture may also comprehend the reason for her reaction. 25 Mushrooms Kitchen, after all, was founded in 2009 and back then, it was no more than an informal class held at the kitchen of her own home in 25 Mushroom Street of Valle Verde 5, Pasig City. She only handled about seven students per class back then and they were all household helpers, employees working for her family members and friends. Her expectations notwithstanding, 25 Mushrooms Kitchen has outgrown the confines of Jorge’s home. 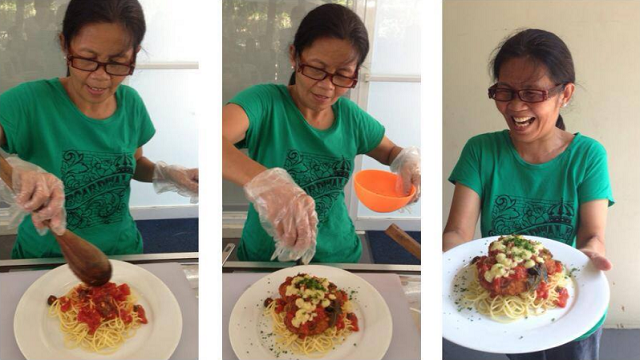 From a recurring class at her personal kitchen, it is now an established venture operating in two locations: one at Valle Verde and another at Molito, Alabang. Jorge also plans to open another branch early next year and all talks concerning it reveal that the location would be in Salcedo Village, Makati. As for her students, they now come by the numbers. From seven people, 25 Mushrooms Kitchen now handles 30 per class and the general profile of the students has expanded dramatically. These days, household helpers, which still make up about 70 percent of the enrollees, learn from the same institution that also teaches moms and children. Even celebrities like Alice Dixon have joined one of its courses. So long as you are a kitchen novice willing to learn, so Jorge said, you are welcome to learn with them. All things considered, the business, as its founder stated, is growing. And its promising state, she said, may have been harder to achieve had it not been for its use of social media. “My sister [Clarissa Reyes] and I, we’re very active in posting,” she said. “When a helper does well, we post about her and she would tag all her friends.” Finished products are also common elements seen in both the company’s Facebook and Instagram pages. Regularly photographed by her husband, Roy, images of various dishes serve as effective appetizers to what her classes normally cook up. Visit the school’s social media accounts and one would be hard pressed to avoid a meticulously arranged food shot glaring back, ready to whet one’s appetite for more. That being said, Jorge shared that it takes more than appetizing photos and an active online presence to do well in her chosen industry. When asked to rationalize the ongoing success of 25 Mushrooms Kitchen, Jorge said that it had a lot to do with its unique selling proposition. It is basically a culinary school in a country proliferated by numerous institutions offering cooking courses but it has, since its foundation, distanced itself from the traits such institutions are often associated with. For one, its price range is highly notable by industry standards. A 10AM to 3PM class at its Valle Verde branch, for example, only costs Php 1,200. And that price affords students lessons on how to make seven to eight dishes, depending on whatever cuisine that class has been dedicated to. Meanwhile, absolute beginners—as in people who have never cooked anything before—can start from scratch and take on the school’s four-day learning program. This, in turn, would only cost Php 5,000. This is a pricing system Jorge herself developed keeping in mind that majority of her students are household helpers. Another stand out as far as Jorge was concerned are the school’s teaching methods. Unlike culinary institutions that tend to be highly technical, the instruction of 25 Mushrooms Kitchen tends to be a lot simpler. In a nutshell, Jorge said that its daily classes first introduce the ingredients to be used for the day, and what those ingredients can do. The cooking will then start and each student will be required to participate. This, she added, comes with regular inputs on proper kitchen management and hygiene. And by “they,” of course, she wasn’t just referring to the household helpers anymore. “They” also refer to the other students—like the moms and their kids—who have also begun enrolling after seeing what their household helpers were learning and where they were learning from. “They” also refer to the overseas foreign workers who return to the Philippines for a vacation and spend time to learn from the school. The entry of such students, according to Jorge, had a lot to do with the quality of the education she is offering. It also had a lot to do with the look each branch of her school has been given. “They love the ambiance,” she said. And a visit to one of Jorge’s schools can explain why. At its Valle Verde branch for instance, clean interiors and stylish furnishings suggest a sizeable investment on the founder’s part. There, one can glean Jorge’s core strengths as a businesswoman. “I wanted everything perfect,” Jorge said, looking back at the conceptualization of her school. 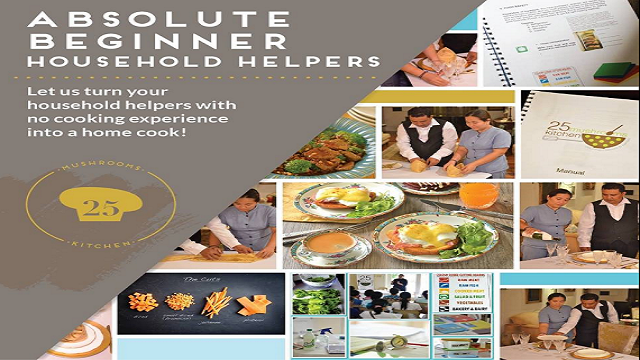 “Even though [we were initially teaching] helpers, everything had to be perfect for them. Well presented.” And this, according to her, was the main ingredient to her success.